#BullbusterAmbassadors Luis & JD from team Ninja Sharkers pose witha nice beached lemon. In general lemon sharks tend to like shallow water areas, flats near mangroves tend to hold lots of lemon sharks, however this is not to say that lemons cannot be found on the reef. Lemon sharks are thinner than most sharks their length and tend to be very aware. It is not uncommon to have a lemon shark that tracks you with its eyes as you go to remove the hook. When releasing these sharks take great care as they have been known to reach all the way back to their tail for a bite. 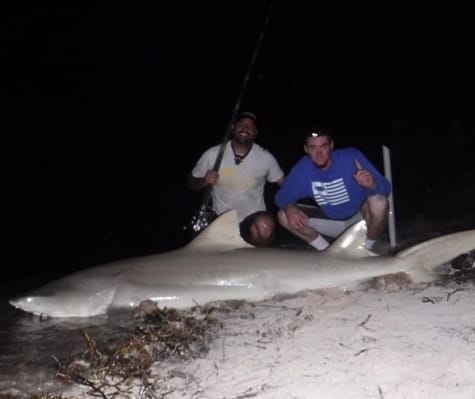 Below is a video posted by "Shark Fishing With LASharkHunter" of an older gentleman catching a fairly big lemon shark. Lemon sharks have two really pronounced dorsal fins. This is an easy way to distinguish them from a bullshark. You can tell that a shark is a lemon shark and not a Bull Shark by the two really pronounced dorsal fins. This picture is of #BullbusterAmbassadors Luis and Jonathan from Team Ninja Sharkers. Lemon sharks are not extraordinary fighters, they have neither of the exciting runs that a blacktip will display or the brute power of a bullshark. 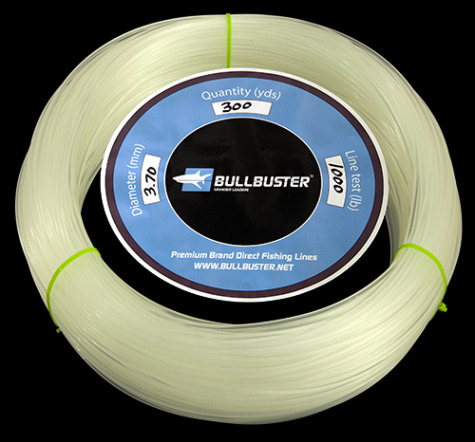 We recommend using 40-50Lb monofilament if you are using a conventional reel and anywhere between 40-65Lb braid if you are targeting them using spinning tackle. Lemon sharks do not have the intense fast runs of a blacktip shark, or the brute force of bull shark. Instead these sharks often use change of direction as a tactic for escape. 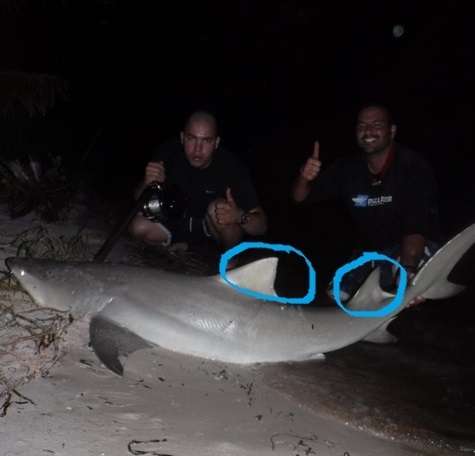 It is not uncommon to fight a lemon shark from the beach that tries to swim along the shore line causing you to duck under multiple rods along the way. Lemon sharks do not display intense amounts of stress when from a fight like other sharks. Our number one recommendation with a lemon shark is to be careful! These sharks will track you with their eyes and have been known to attempt to bite you while out of the water.